An interest in public relations led Peter Carr to government service. At the time, however, he did not imagine his future would include government service. His interests leaned toward civil engineering. Later, Carr began to reconsider his academic direction and pored over college course options. “I came to public relations and told myself, ‘That sounds like you.’” He also minored in political science and served as an intern for the Utah State Legislature. “I got an inside look at how the legislature worked and loved it,” Carr says. After graduation he worked in public relations but knew this was not a long-term commitment. “I told my wife I had decided to go to Washington, D.C.,” Carr says. “Happily, she supported me.” He allotted two weeks to find employment. Coincidentally, the week he arrived in the capital, the communications director for Senator Orrin G. Hatch (BS ’59) left. “A couple of positions were open, and they needed someone immediately,” Carr says. He secured the press-assistant position and later became press secretary. 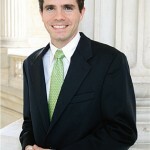 Carr worked with the senator’s staff to line up TV and radio interviews and press conferences. He also contributed to speeches, press statements, and opinion pieces. 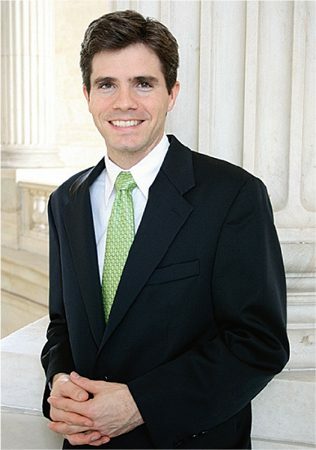 The U.S. Department of Justice noticed his work with Senator Hatch and hired him to serve as its deputy director of public affairs.